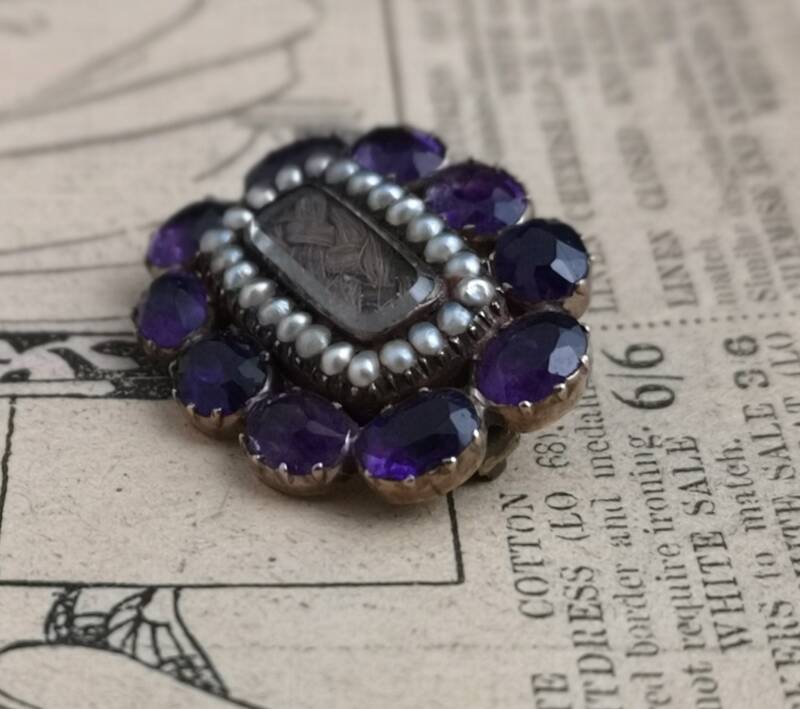 A tragically beautiful Georgian era mourning brooch. 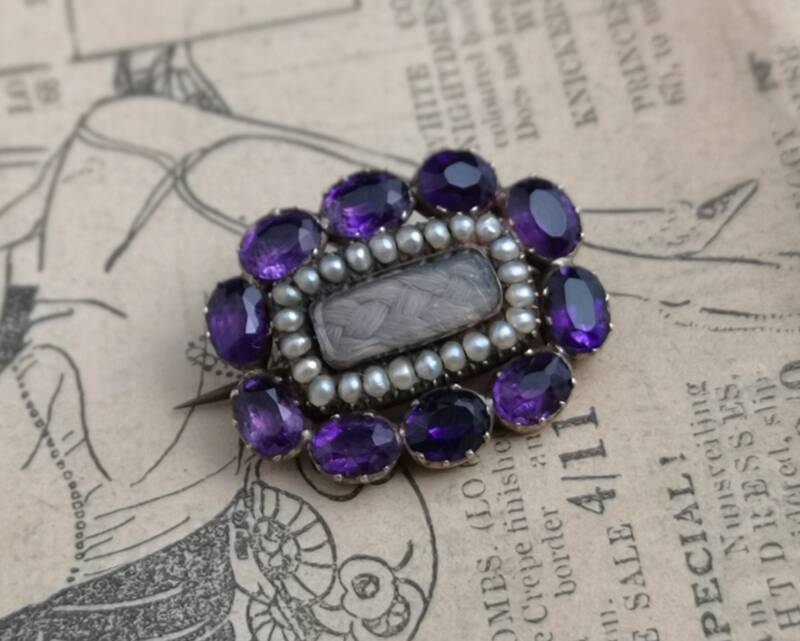 A fine piece set with large deep purple, oval amethyst stones, estimated over 4ct weight in amethyst, there is a row of seed pearls set within the amethyst frame which encompass the crystal hair verso panel which contains a lock of plaited hair. 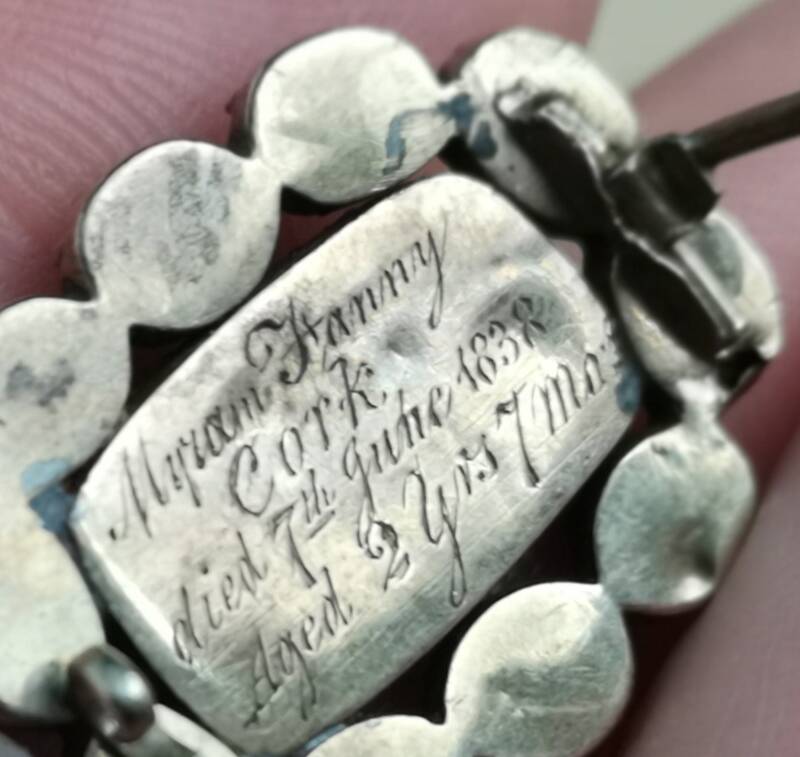 The back has been later inscribed in the early Victorian era with a heart wrenching inscription; Myram Fanny Cork, died 7th June 1838 aged 2 years 7 months. 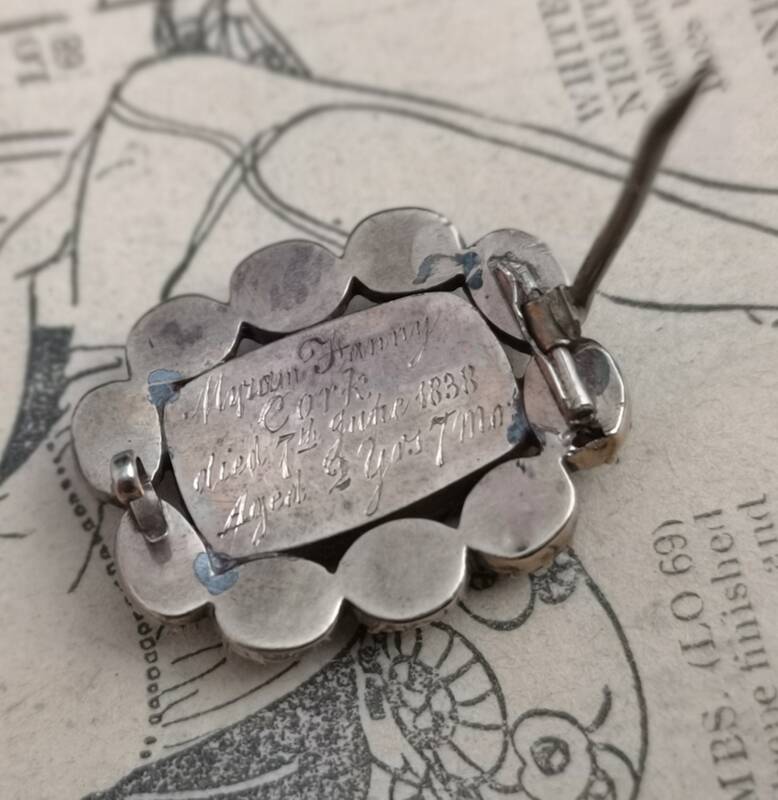 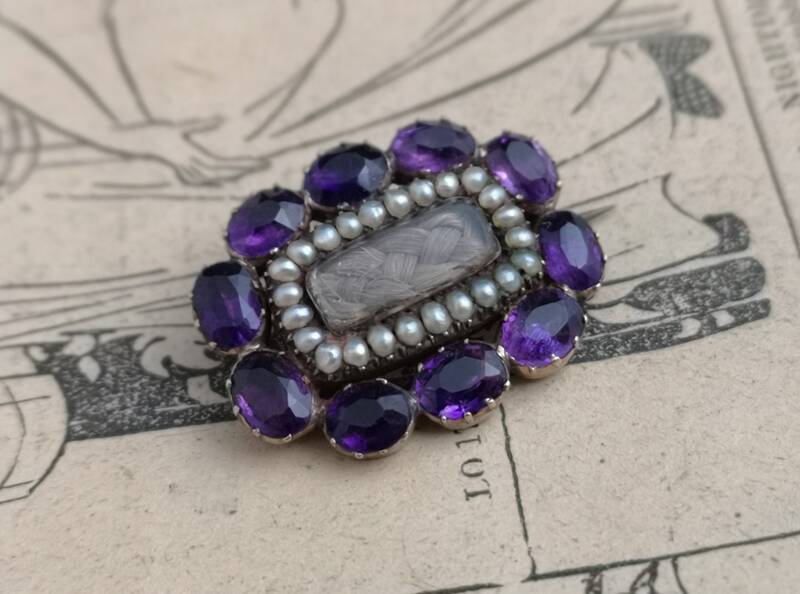 It is set into an unmarked 9ct gold setting with a closed back the amethyst are claw set, the pin is a base metal likely to be brass and protrudes from the brooch slightly. 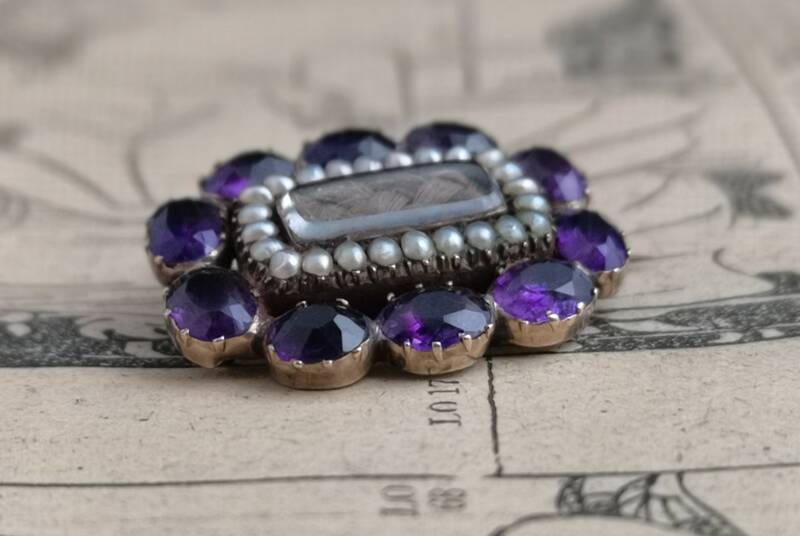 The condition overall is good, some areas of soft solder can be seen on the back of the setting, pearls are irregular but nicely matched with some wear, all original stones and fittings, nice and strong, c type clasp that holds strong.